The ‘troops’ try and catch up for lunch at least once a week. One week, one member of the ‘troops’ was craving something ‘dirty’ for lunch as she was over the fancy pancy of lunch dining and suggested we come here! I have wanted to try this place for a while now; I have tried their cold ‘pantyhose tea’ and was curious about the food! They serve your typical Hong Kong breakfast – western toast or what they call it here ‘french toast’ and pork bun. However, we didn’t come here for breakfast but for lunch. This place is small, noisy and can be extremely busy during lunch time. However, the turnover is unbelievably fast and because of its popularity, they have a policy that all members must be present before you can even be seated. There’s no saving tables policy here! We were seated within 2 mins and within 1 mins the waiter were asking what we wanted already – talk about fast! 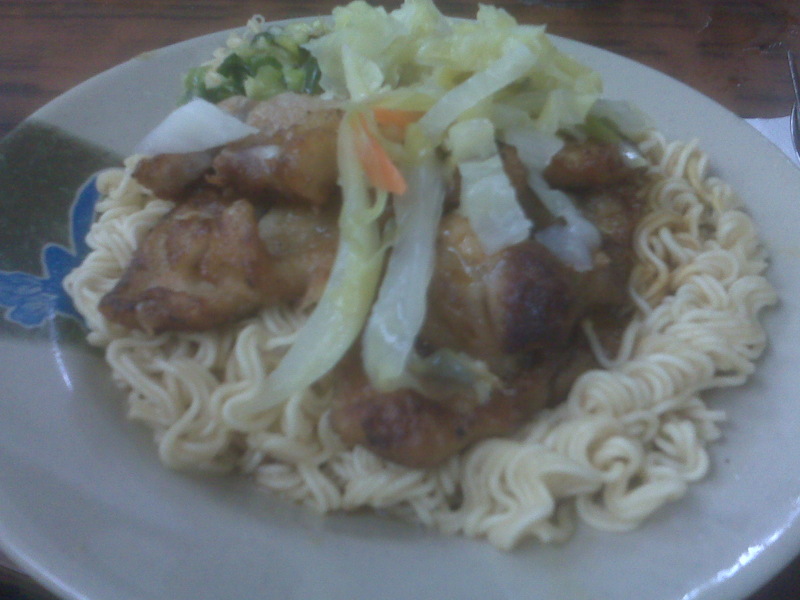 Their signature dish is braised ramen noodles with pan-fried chicken breast and scallion oil. I didn’t feel like chicken and opted for the braised ramen noodles with pan fried pork chop and scallion oil. J ordered their signature dish, D ordered the noodles with beef and curry and both G and I ordered the braised ramen noodles with pan fried pork chop and scallion oil. We all ordered the hot ‘pantyhose tea’ for drinks, except for G who got the cold lemon ice tea. Shortly after, we all received our meals. The noodles are instant ramen and I am not usually a fan of instant ramen, however, the noodles were cooked to perfection. It was soft and not soggy or watery. The pan-fried pork chop was unbelievably tender, juicy and full of flavour. The sliced cabbage and scallion oil really gave it a nice touch and made the whole dish extremely flavoursome. It seriously went down well! J had the pan-fried chicken breast. I didn’t try any of the chicken but he did say that the chicken was succulent and was absolutely tasty! 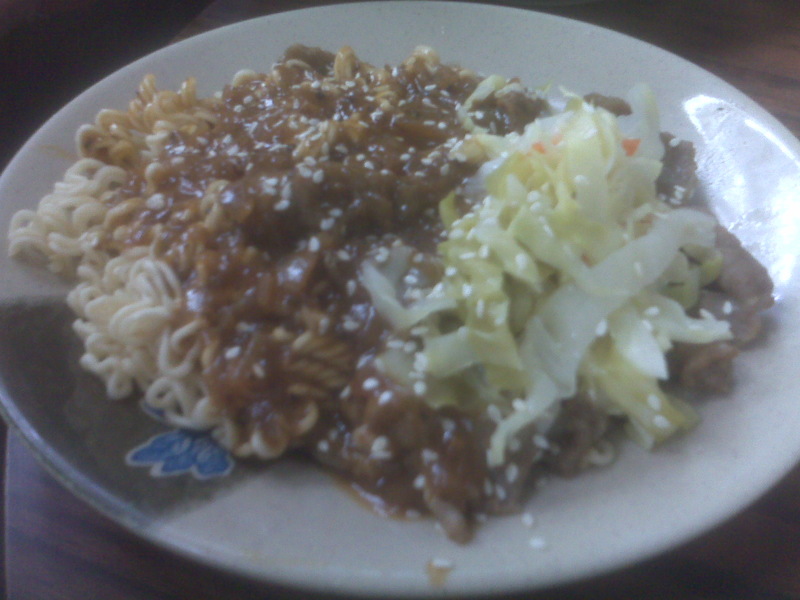 D had the beef curry with noodles. He wasn’t too impressed when we both dug into his meal and stole the beef. The beef was tender and peppery. I could definitely have eaten this also. 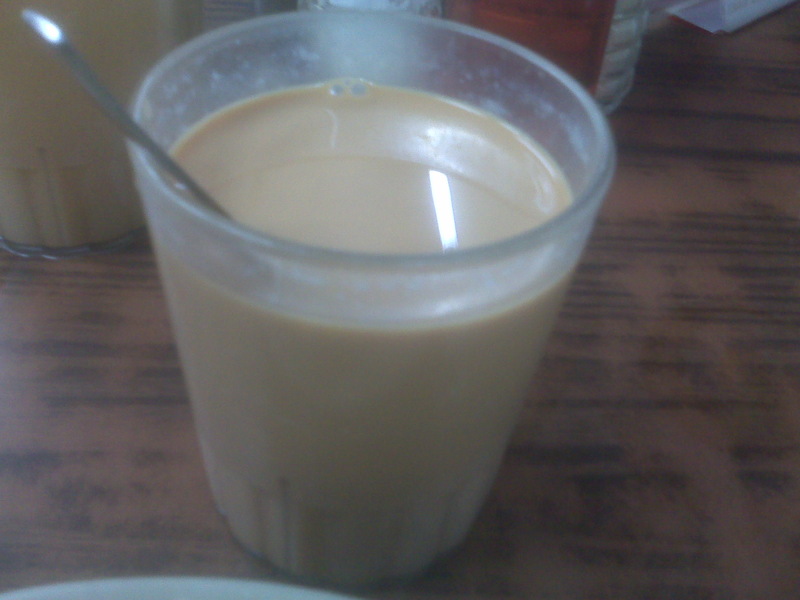 For those who don’t know, the pantyhose tea is a beverage originating from Hong Kong – it consists of black tea sweetened with evaporated milk. I absolutely love this tea, however, too much of it can seriously give you a sugar rush! Unfortunately, I didn’t get to drink all my tea as I got a ‘little’ bit too excited about receiving an extra blackberry battery (I know I know – little thing amuses me!) 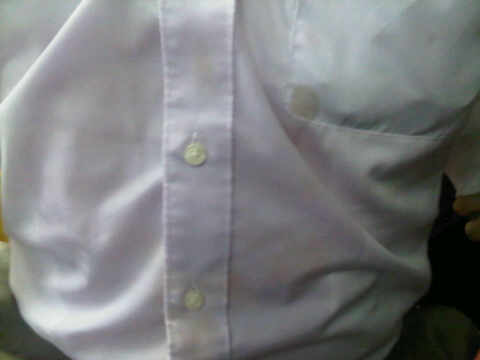 that I spilt all of my tea on D!!!! (Below is the photo of the aftermath!) SO SORRY D!!! Nothing ‘boring’ ever happens when the troops get together that’s for sure! Back to the restaurant – my meal was incredibly satisfying! Who would have thought such simple and humble food can be so fulfilling? It was unbelievably cheap! The service was good, friendly and quick! You can be in and out of this restaurant within 20 mins! Come early if you want to get a table and make sure all parties are present before you can be seated. It was a great meal with great friends – one that I am sure they won’t let me forget – especially with the tea spilling incident. I know I know, you can’t take me anywhere!